1. Make sure the cable is rmly connected at all three ends. 2. Insert a DVD or CD to allow your PC/Mac to mount a disc. 3. Call customer support for further assistance. How do I burn a disk? through the rest of the process. Is the DVD-Writer comaptible with Mac and Linux? Windows XP/Vista/7, Mac OS X and many versions of Linux. useful in some situations; like when burning DVD-Video les. How do I eject a disc if the DVD-Writer has been unplugged? can pull the tray the rest of the way out and remove the disc. DVD-Writer should be ready to use without further setup. 2. Connect the drive to the computer using both ends of the USB Y-cable. drive with only one USB connector. Cavalry Storage is a great supplier selling different goods like computer equipment. We found 14 actual handbooks of this brand . 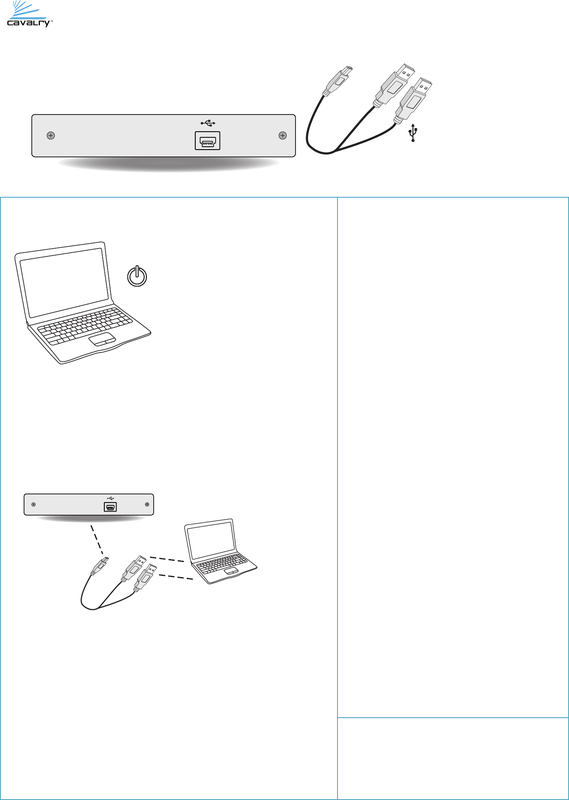 Now you're reading a user guide for Cavalry Storage Blu-ray Player Blu-ray Player.